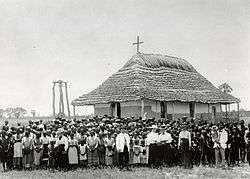 Martti Rautanen and the congregation at the missionary station in Olukonda, 1899. Martti (Martin) Rautanen (10 November 1845 Tikopis (Russian: Тикопись), Ingria – 19 October 1926 Olukonda, Namibia) was the pioneer of the Finnish Mission in Ovamboland, Namibia. Rautanen was born in a poor Finnish family in Ingria near St. Peterburg, Russia. Rautanen's family lived in the village of Tikanpesä in the parish of Novasolkka (Russian: Новоселки, tr. Novoselki). The family originated from Joroinen in the province of Savo in Eastern Finland, but had moved to Ingria. Martti Rautanen considered himself a Russian as he was born and living in Russia. Encouraged by the pastor of his church and his mother, Martti Rautanen left Ingria in 1863 for Helsinki to study at the preparatory school for missionaries organized by the Finnish Missionary Society. Rautanen departed from Finland with four colleagues on 24 June 1868 towards Ovamboland in present-day Namibia. From Walvis Bay they travelled via Hereroland where they arrived in April 1869 and spent there over a year. Finally, they reached Ovamboland in July 1870. The Finnish missionaries managed to start work primarily in the southeastern territory of the Ondonga tribe. Rautanen worked in Ovamboland over 50 years acting as the director of a missionary station established in Olukonda in 1880, translating the Bible, and very patiently educating the local populations. 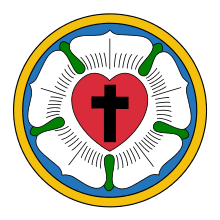 The first local people to become pastors emerged in 1925. Rautanen's literary work consisted of translation of hymns and the publication of a hymnal in 1892 in Ndonga. Rautanen also wrote poems which were used as texts for new hymns in Ovamboland. 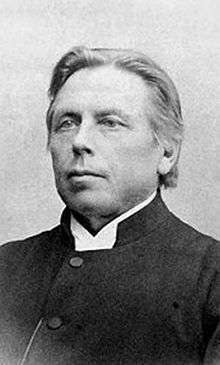 Rautanen started translating the Bible already in 1885. The New Testament was published in 1903, but it took until 1920 before the whole Old Testament was translated and it was not printed until 1954. Rautanen's 'testament' for the Ovamboland people was a selection of texts published posthumously with the title Travel Rod in 1934. Rautanen was also active in the study of ethnography. He respected and gave great value to the indigenous culture. His ethnographic collection is now deposited in the National Museum of Finland. Rautanen's contribution to scientific knowledge concerning Ovamboland is also considerable. He made meteorological observations and collected plants. His interest in plants followed on the 1885-86 visit by the Swiss botanist Hans Schinz; Rautanen was inspired and became an enthusiastic collector of plants and ethnographic material, collections which were later assimilated by museums in Finland, Germany and South Africa. In turn Schinz was impressed by Rautanen and named the tree Ricinodendron rautanenii after him, while the German botanist and authority on Lythraceae, Bernhard Koehne, commemorated him in Nesaea rautanenii. Shortly prior to his death, Rautanen received an honorary doctorate in theology at the University of Helsinki. The local people in Ovamboland called him Nakambale – "the one who wears the hat". He loved to wear a skullcap, which for the locals resembled a small basket – okambale. His nickname was written on his tombstone. Rautanen is a respected person in present-day Namibia as well. Rautanen married Frieda Kleinschmidt in 1872. She was daughter to a German missionary Franz Heinrich Kleinschmidt. The couple had nine children, many of whom deceased due to malaria at an early age. Matti Peltola: Martti Rautanen - Mies ja kaksi isänmaata. Kirjapaja, 1994.